The memorial for Borve is located outside the Glen Macquarrie community centre, located on the southern side of the village of Borve. This is situated on the A857 Stornoway - Port of Ness, 6 miles north of Barvas. There is ample car parking outside the community centre. 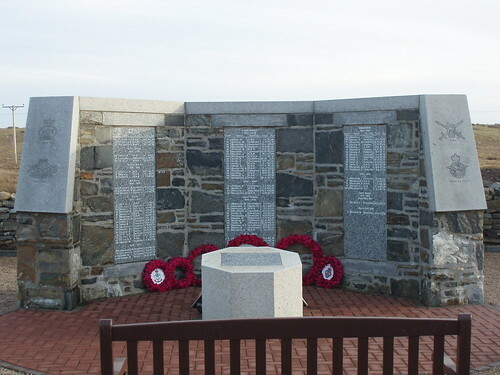 The W1 bus from Stornoway to Ness passes right by the memorial. Please note that the current Google Earth imagery does NOT show the Glen Macquarrie Centre.